The above quote best contextualizes the battle in Tucson. Mexican American Studies, also known as Chicano/a Studies or Raza Studies, in effect, is the study of peoples who trace their lineage to this very continent, many thousands of years before the arrival of Columbus. There is no doubt that these peoples have mixture (like virtually every human being on this planet), however, the fact remains that their roots are Indigenous and part of daily, living maiz-based cultures. A primary objective of MAS has always been the recovery of those cultural roots that in the past have been denied. In Tucson, the teaching of these studies, of these roots have not just been outlawed, but, in effect, criminalized. Below is a document containing 9 directives that is mind-boggling in its brazenness, one that reveals the manner in which the law is being flouted and how teachers and students are being subjected to abuse and repercussions. In close to 40 years of journalism and column writing, I have never seen anything quite like it. Initially, I picked this document up from one source, then several. It is undeniably authentic. This document was issued in mid-January by TUSD officials, given to MAS educators, instructing them as to what they can and can't teach and how, etc. The first thing I noted was that it was not on TUSD stationary. This is referred to as: "plausible denial." It intentionally leaves no fingerprints. To be sure, there have been other [verbal] directives regarding these same issues. TUSD and the state have created a task for themselves; to enforce this directive, they will have to create a definition as to what constitutes a Mexican American [Studies] perspective. They then have to establish parameters of what can and cannot be taught and then they have to create an enforcement mechanism. Actually, this document appears to be the beginning of this process. 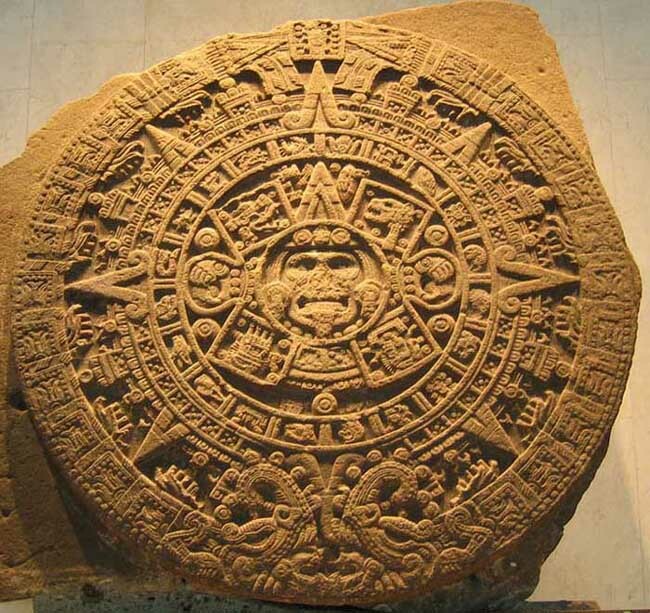 One teacher, Norma Gonzalez, was specifically told after the TUSD vote, that she cannot teach the Aztec Calendar or anything related to Mexican culture and history. Ironically, the Aztec Calendar and its related philosophies, can and is being taught in a native class, but not through MAS. Here, TUSD is showing evidence that it is also involved in defining the boundaries of what is Mexican vs. what is native. A quote in The Progressive, from banned author Sherman Alexie is appropriate here: "Let's get one thing out of the way: Mexican immigration is an oxymoron. Mexicans are indigenous." One of his books, "The Lone Ranger and Tonto's Fist Fight in Heaven," is part of the MAS banned curriculum. Here, both the highly successful curriculum, which graduated nearly 100% of its students and validated by the 2010 independent Cambium Study, appears to have been invalidated by TUSD. Additionally, the teachers and staff have been determined to be incompetent. In the process, they have also been publicly vilified and demonized. "The focus of student learning must not exclusively trail back to MAS curriculum and issues." This is mind-boggling; no teacher teaches in such a manner. Beyond thought control, it appears to be an attempt to culturally restrict the parameters of Mexican American thinking – an attempt to by edict, to determine what Mexican Americans should be concerned with. An examination of the MAS curriculum will reveal that virtually every issue in the nation and world is an "MAS issue." This is both oxymoronic and nonsensical. This smacks of "false generosity" – of giving teachers permission the right to teach about one of the most salient aspects of U.S. history. Regarding context, that at best is condescending; unlike letters to the editor, every teacher provides context. "Teachers will write and submit a syllabus and/or a curriculum map that demonstrates adherence to common, standards based approach to the curriculum." Perhaps this is the least controversial, though this still smacks of micromanagement. * Five of my books and a video are on the banned curriculum list. The video is: Amoxtli San Ce Tojuan. The books are: Justice: A Question of Race; Gonzales/Rodriguez: Uncut and Uncensored; The X in La Raza, Codex Tamuanchan: On Becoming Human… and Cantos Al Sexto Sol… this last book is a collection of more than 100 Raza/Indigenous writers, writing on the topic of origins and migrations, … In effect, virtually the entire cultural production of the past generation of Raza/Indigenous writers/artists has been criminalized. Cintli don't tweet, text, facebook and is not linked... neither do I own a TV... but you can still email or call me.